I've always had a soft spot for heraldry on stamps. I don't know why, it's probably to do with conjuring up images of a gloriously chivalrous past, with kings and knights and other mighty folk roaming the countryside! 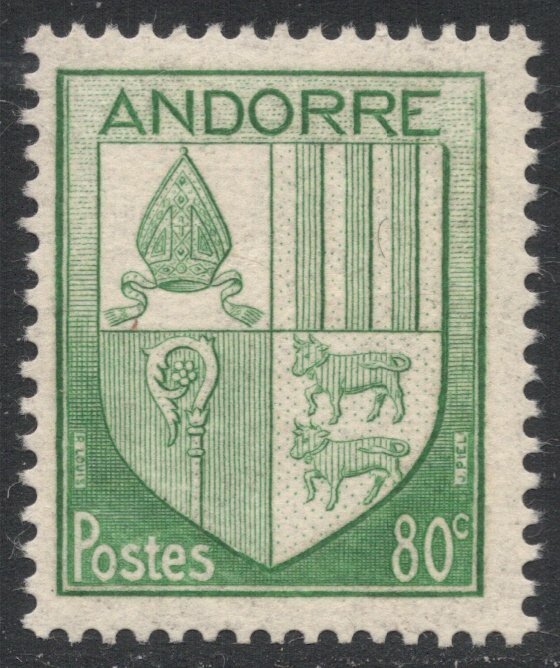 Heraldry in itself is mightily interesting and to have it depicted on stamps means hours and hours of research if you're trying to build up a good thematic collection. To be honest with you, I wouldn't know where to start, because my knowledge of heraldry is almost non-existent, but it still never fails to intrigue me. 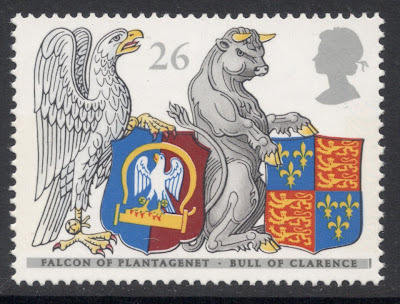 I even remember picking up some heraldic stamps while on holiday here in Britain, way back in 1987. 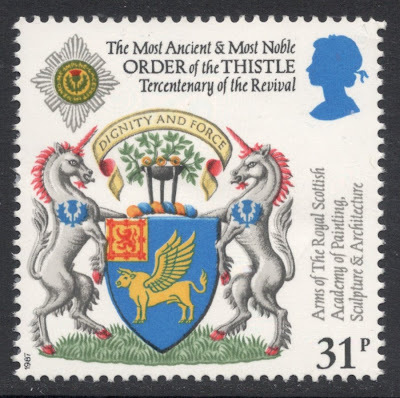 It was a time when I wasn't collecting stamps at all, but I remember seeing these at Edinburgh Castle I think it was, and I liked them so much that I bought a set. The set is the 1987 issue to mark the 300th anniversary of the Revival of the Order of the Thistle. Four gorgeous stamps, designed by Jefferey Matthews. At the time I naturally didn't know that if there's one name synonymous with British heraldic stamps, it's that of Jeffery Matthews. But I suppose it's a testimony to his design talent that he is able to lure the general public into buying commemorative stamps! 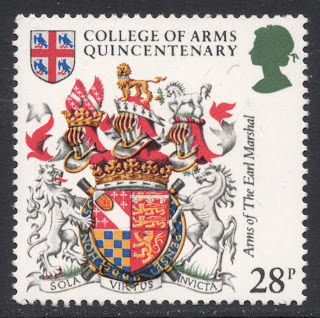 I have since added his 1984 set, marking the 500th anniversary of the College of Arms, to my elite list of heraldic favourites, even though (or is it because of?) they are quite similar, design-wise. And of course it was also Jeffery Matthews who designed the 1997 Queen's Beasts issue, with the beasts holding up various Coats of Arms. Not just one of my favourite heraldic stamps, but possibly my most favourite British commemorative set ever. 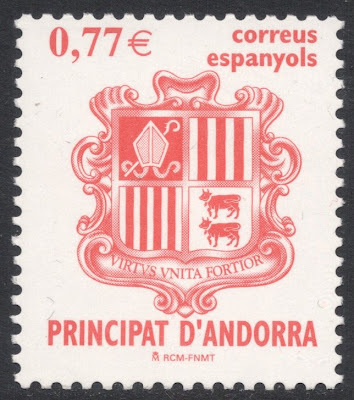 Stepping away from Matthews and Britain for a bit, I would probably also like to thoroughly research the many Andorran Coat of Arms stamps, because they show many a muddled-up version of their Arms. 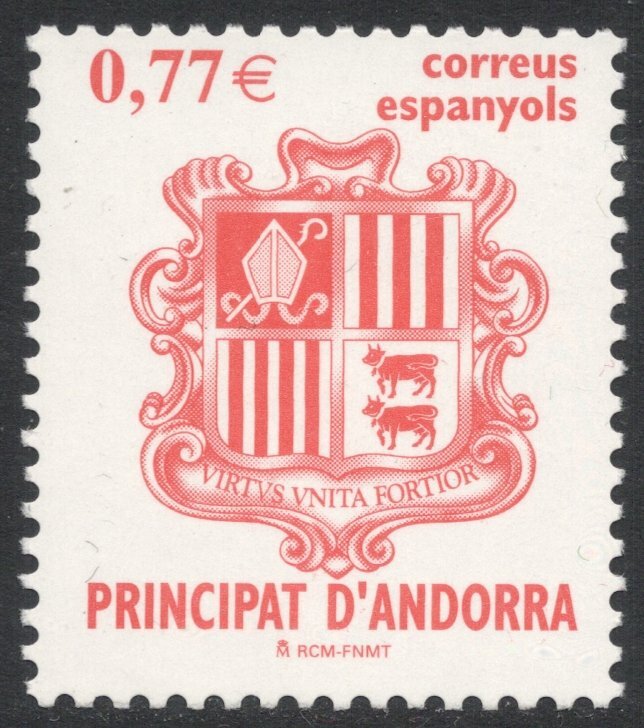 Andorra is a perfect case of split identity, being governed by both a French and a Spanish Co-Prince, and this translates into its Arms as well, with usually more than one official version doing the rounds. So here we have the Spanish version of the Arms. Why? Well, the French version used to be topped by a crown, whereas the Spanish version didn't have a crown on top. Funny then that it should appear on a French Andorran stamp! But there's more. The French Co-Prince is represented by the three pales (that's those vertical bars), and the Spanish Co-Prince by the Mitre & Crozier. 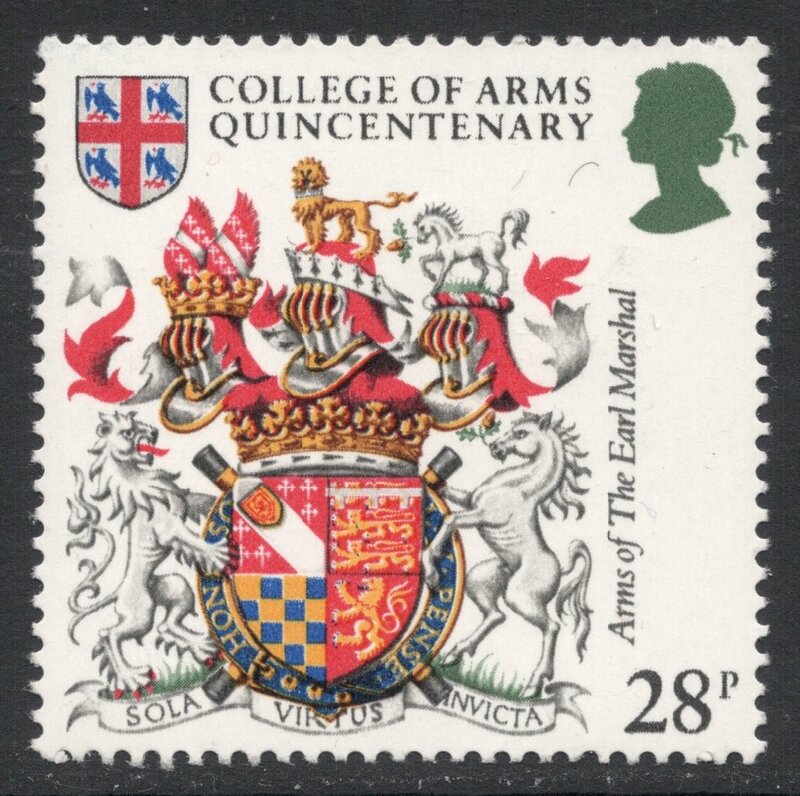 Now, two official versions of the Arms existed, one with mitre and crozier in one quarter, and the other with them in two quarters, as seen on this stamp. So, this version has two quarters representing the Spanish Co-Prince and only one representing the French Co-Prince. Again, why would the French opt for this pro-Spanish version? Looks alright to you? Still no crown, but at least the mitre and crosier now share one quarter so that's the honours more evenly spread. But look at those cows! They're facing to the right, which apparently is a heraldic faux-pas. And they are French cows as well (representing the region of Bearn) so you would expect the French to get this right! Is it any wonder, then, that in 1969 all these versions were invalidated and replaced with one single official Coat of Arms? Huge sigh of relief and finally some consistency in the heraldic definitives! 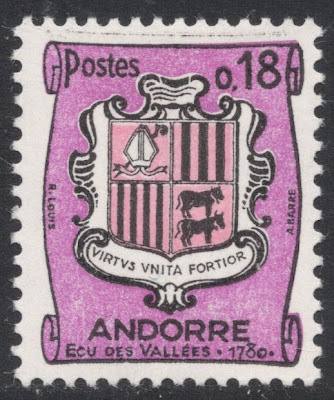 PS: We also have Heraldry on Stamps thread on our website's forum, which you can find by clicking here. 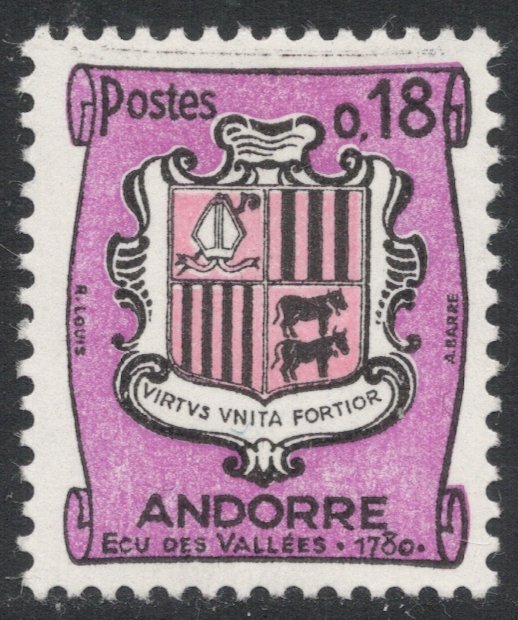 The cows on the Spanish coat of arms of Andorra are looking to the left, while the French cows are looking to the right. Is this a philatelic freedom? Or maybe, this is to see the difference between the French part and the Spanish part of Andorra. All I can say is, "honi soit qui mal y pense." In addition to what Toon notes, in the French version the crozier extends behind the ribbon; in the Spanish, in front of it. I love the "Queen's Bests"!